The day - it usually begins and ends without much fanfare. You rise, go about your routine and then shut down for yet another round. These mundane moments are usually nothing more than repetition. But if you're a guy like Kieran Hebden, the repetition becomes a focal point, the very thing that we either ignore or get annoyed by. Morning/Evening is a perfect example of this. It asks you to slow down and tune your ear to those details that might seem insignificant on their own, but when taken together make up an inviting whole. To coincide with the recent summer solstice, Hebden shared the album ahead of the physical release date in a stream/download on his Bandcamp page. He masterfully collates and precisely posits 'found sounds' and vocal samples, creating an album's length of material that spans across two songs: 'Morning Side' and 'Evening Side.' Each song different in feel, but obviously of a piece, it works as a tribute to the entire day, and also to his continuing vitality as an electronic artist. 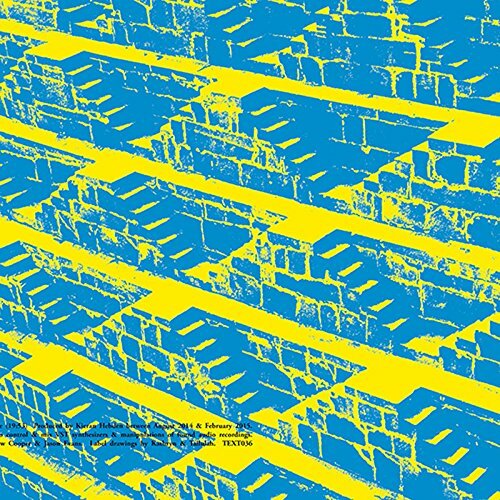 Have a listen to almost anything in the Four Tet arsenal and you'll know what I mean. His ability to layer and construct is matched with an adeptness at weaving sounds together like a fine thread that would challenge even the sturdiest of looms. Patterns are a mainstay of his music, but they shift and glide effortlessly on an emotional curve, keeping the actual structure in the background while highlighting the foreground with intermittent washes of feeling.
.' As repetitive as it is, its warmth doesn't allow for staleness. The vocal sample is pulled from the Bollywood film Souten from 1983, and when it first drops over a netting of strings you feel as if you are actually in bed stretching as the sun hits your face from outside the window. It's an astonishing moment, and even as it constitutes most of the song's length, it doesn't wear itself out. It works as a circadian rhythm and seems to go on even after it's over, getting right into your head and body. 'Evening Side' is quieter, yet no less impactful - just in a different way. It's weaker and a little looser than 'Morning Side', but definitive enough to be its companion. The synths and vocal snippets twinkle like stars, taking a while to build. The track's pacing acts as a blanket to slowly tuck you in, sending you off into a shuffling, beat-heavy dreamland at around the 13-minute mark through to the album's finale. It appears to be taking a new direction by this point, but fizzles out properly, the way a person would as REM sleep is replaced by the black of unconsciousness. Hebden is an artist that doesn't require the convention of a usual album structure to be validated. His strength lies in his ability to feel, and we're the lucky receivers of this gift. It's safe to say his stint as Four Tet will continue. Morning/Evening is a strong indicator of that, and an album to be savored. Excellent review. I was a fan of Rounds and Everything Ecstatic but I haven't heard much since. Better do some catch up. His last album Beautiful Rewind is decent. More techno/house oriented though.